As I mentioned in this post, I'm always looking for new ways to meet other bloggers and try new events and activities. 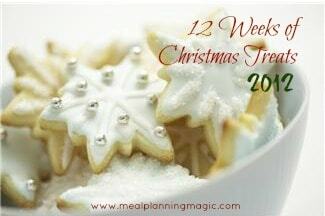 One such event that I recently found is the 12 Weeks of Christmas Treats blog hop, hosted by Meal Planning Magic. If you are a blogger and want to get in the Christmas spirit early this year, head on over to sign up! Because I'm joining this blog hop a little late, I wanted to choose the perfect Christmas treat to start my involvement on the right foot. After searching through lots of recipes and brainstorming lots of ideas, I finally came across the perfect recipe. Cue these Snickersnaps. Isn't that the coolest cookie name ever?! And the name is not the only awesome thing about this recipe. 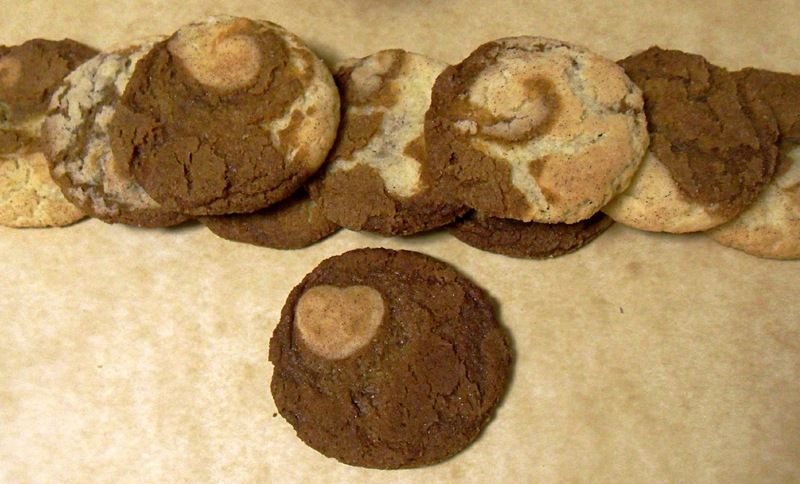 These marbled cookies are made from combining two classic recipes: Gingersnaps and Snickerdoodles. This idea is so simple, yet so fantastic! The end result is a soft cookie that is a perfect balance of subtly sweet flavors from the Snickerdoodle dough and aromatic spiciness from the Gingersnap dough. 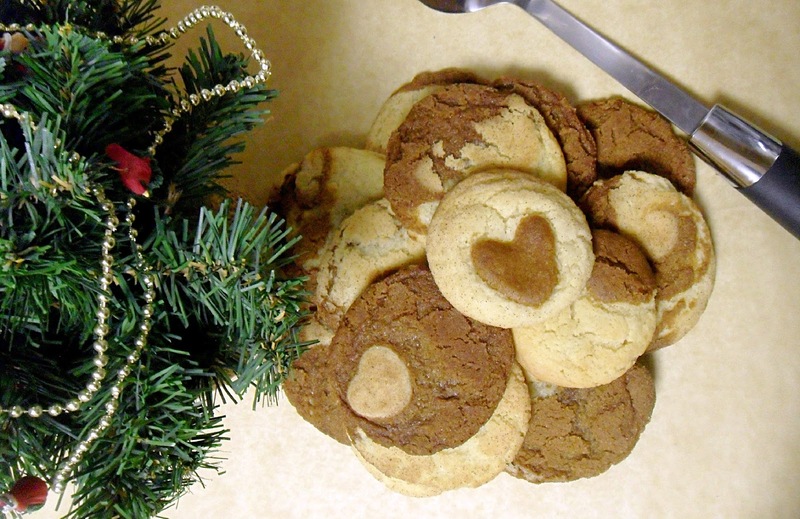 You'll definitely want to add this recipe to your list of treats to make this holiday season! To make Snickerdoodle cookie dough, cream together shortening and sugar. Add egg and vanilla and mix until well incorporated. Add flour, baking soda, salt, and cream of tartar. Mix until all ingredients are combined. Cover dough and place in refrigerator overnight. To make Gingersnap cookie dough, cream together shortening and sugar. Add molasses and egg and mix until well incorporated. Add flour, baking soda, salt, cinnamon, cloves, and ground ginger. Mix until all ingredients are combined. Cover dough and place in refrigerator overnight (this step is necessary). When you are ready to bake the cookies, preheat oven to 350 degrees. Bake cookies for 9-11 minutes, or until cookies are set. Cool on cookie sheet for a few minutes before removing to a wire rack to cool completely. Check out all of the Christmas treats from this week! Click on the picture to see the full recipe. Haha this title made me laugh right away, Gingersnaps are my Mom's favorite cookie and Snickerdoodles are by brother's. Obviously I pretty much have to make them now! Haha you basically have no choice. Somehow I think they'll really appreciate if you make the cookies! these are too cute! And what a great flavor combo! Thank you Pam! The flavors really are a great pair! Terrific combination of flavors and textures! Perfect for a Christmas cookie tray. Thanks Louanne! These cookies are the perfect balance of textures and flavors. I think it's safe to say I plan on making these for all of my Christmas parties this year! I just saw these somewhere online last week and I've been thinking of them quite a bit. Your cookies look really yum. I love the little hearts you managed to get on the cookies. Thank you Trisha! The hearts aren't hard to make and they create such a pretty presentation. 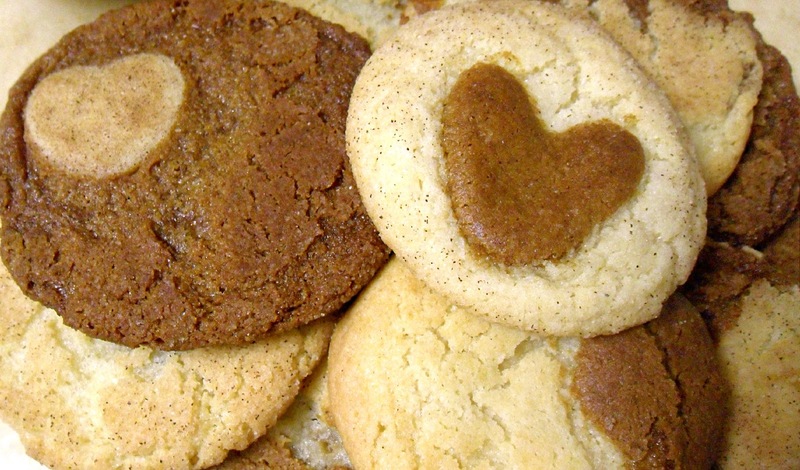 If you end up making these cookies, definitely give the hearts a try! These cookies are a combo of Snickerdoodle and Gingersnap cookie dough, so I thought it was only appropriate to combine the names! These are super cute and sound great! The hearts are a fun touch! Thanks Karyn! They were a lot of fun to make and I'm happy with how well they turned out. Hope the new haircut channels the Zoey look you are after. Can't wait to see it! Oooh, I've never seen these before--LOVE this idea! Great selection for the 12 weeks! They are so yummy Dawn! Thanks for stopping by! Cute! And now I have to make them because the name is just as great! Haha the name is almost as good as the cookies...almost! Thanks for stopping by Melissa! Oh My these are amazing!!! I am going to put these on my Christmas Cookie Baking list! Great! :) They'll be a hit for sure! These snickersnaps look pretty neat. Great choice for joining the blog hop. Thank you Annamaria. That means a lot! Thanks for stopping by! Oh my gosh, I love these! Love the name, love the idea and look of combining two cookies! Will make these for sure! Thanks Katrina! I know you're going to love these cookies that much more after you bake them! So delicious. Hi Elaine, I’m Anne from Life on the Funny Farm (http://annesfunnyfarm.blogspot.com), and I’m visiting from Farmgirl Friday. Wow, not only do these sound delicious, but they're such clever little cookies! I've never seen anything like this before. Thanks for sharing! These are so cute! I'm so glad you signed up for the link-up! These look DELICIOUS!! And I love the hearts on them! Two cookies in one! You'll love these. Thanks for clicking on my recipe Angela! These look amazing. Thanks for sharing on Foodie Friends Friday and I hope you join us again this week. Just linked up two more recipes! I always look forward to linking up to Foodie Friends Friday and seeing what other recipes are on there. Thanks for stopping by! Fantastic cookie creation, Elaine! I love gingersnaps and snickerdoodles so combining them into one super-cookie is brilliant! Thank you so much for linking up at my linky party! I am pinning every post to my Show Me Your Plaid Monday's Board for all to see! I hope you come back each week!